Practical and aesthetic organiser for a baby bed. Our product will make it easier for you to store all the necessary baby care accessories and will also be an additional decoration of the room. 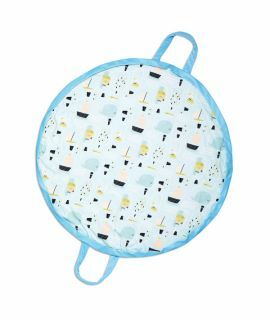 This organiser features three large pockets where you can easily store such items as: a dummy, bottle, cream, nappy, wet wipes or a favourite plush toy. 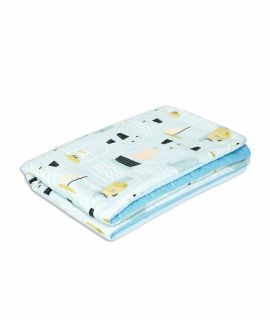 This bed organiser was made using high-quality colourful cotton (100%). It can be easily attached to the bed using elegant ties. Match the bed organizer with other products of our brand and create a great layette for your little one!